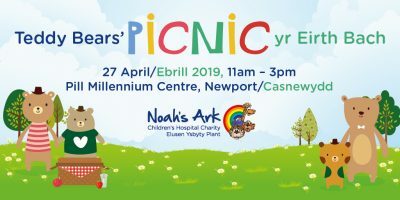 Join us for some indoor (but outdoor themed) fun this spring at our Teddy Bears’ Picnic in Newport. Back by popular demand and with a new venue added for 2019 is our family favourite, the Teddy Bears’ Picnic. Join us at the Pill Millennium Centre in Newport this April and we’ll be sure to provide you with a day filled with family fun including a kids disco, crafts, face painting a picnic and some special guest appearances by some of your children’s favourite characters. Tickets below are priced per person and include a picnic and entertainment.